I stared at my computer and my passport for quite some time. It must have been hours before I finally had the courage to go through it, but the second I did, a jolt of excitement flowed through me. I was about to spend the next 12 months in Australia, seeing as much as I could possibly see. A few weeks before leaving, my friend Dylan reached out to me and expressed that he too would like to join on my adventure to Australia. The last week of August I gathered my things together, said my goodbyes, and we began the journey of a lifetime. A days worth of travelling later, I had arrived in Sydney. I looked out the airplane window with a giant smile on my face. I knew exactly where I was heading first. I was going to the Sydney Opera House. We took a bus into the city and made it our first stop. The Opera House lit up the Sydney Harbor with its glowing aura. It was one of the most beautiful sights I had ever seen, but I knew there was more to see. Shortly later in that week, we made our way to Bondi Beach, where we would explore the beachside cliffs and see the famous Iceberg Pool. Watching the waves crash over into the pool was unlike anything I had ever seen before. The next several weeks, I took all of the opportunities to see as much of the shoreline as possible. 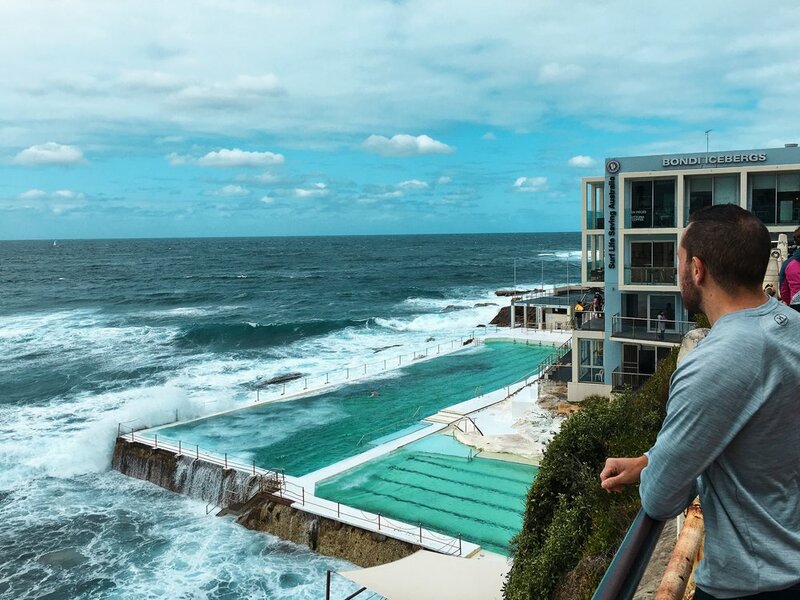 I would get thrills from sitting on tall ledges over the ocean in Bondi Beach, just as I would enjoy watching the waves crash over me near Coogee Beach. My trip had just begun, and I had already felt that I was living my best life. I thought that life couldn’t get any better, but then I found one special place. That place was called Manly. Immediately I knew that there was something different about it. Me and Dylan decided that we would stay here awhile. Thus began a new adventure. I had won a surfboard in a contest, and began spending days in the ocean. We found a place to stay where we met people from all around the world including Argentina, Spain, Germany, and England. I spent countless days exploring the orange sand beaches, meeting new people from different cultures, and learning a lot about myself. The best part about this story is that it is not quite finished yet. I have more of Australia to explore, more people to meet, and more to learn every single day. This memory belongs to our Passenger Bobby Sunderland (@freakinbobs) . All the pictures belong to Bobby’s personal archive. To know more about our Passenger, click here.